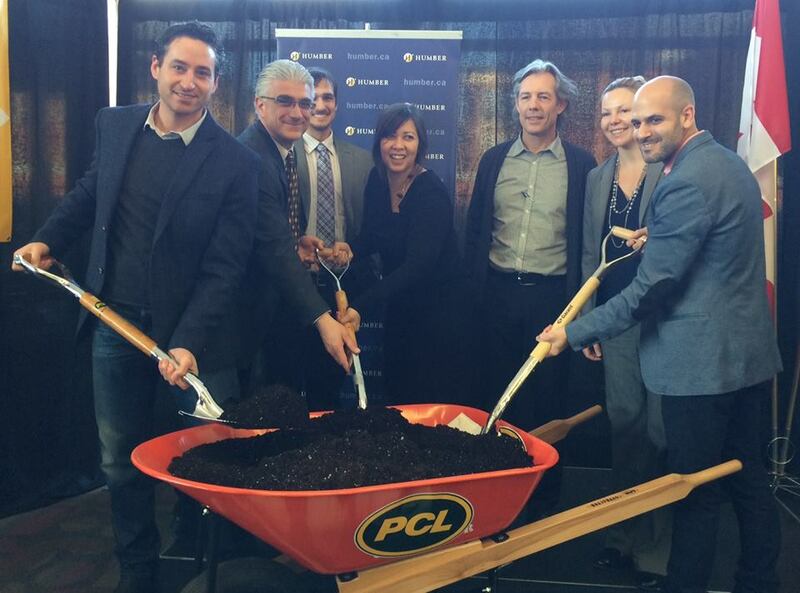 The Humber College Welcome Centre and Athletics Centre has broken ground! Set within the heritage orchards and meadows of Colonel Samuel Smith Park, a historic agricultural parkland on the shores of Lake Ontario, Humber College’s Lakeshore Campus has been largely invisible behind dense groves of mature trees. The Welcome Centre and Athletic Centre will be the campus’s new public face on busy Lake Shore Boulevard, readily-identifiable landmarks and gathering places that celebrate the Humber experience, facilitate integration with the surrounding community and foster social and academic engagement among a fast-growing and diverse student population.